Cimetrix Partners are trained in implementing a variety of solutions using Cimetrix products and are strategically located to cover needs around the world. Headquartered in France, Agileo Automation specializes in industrial automation with a high expertise in software services for semiconductor and photovoltaic equipment manufacturers. GES, located in San Jose, California, Vietnam, Japan, Singapore, Taiwan, and India, provides global leverage for successful high-tech equipment companies through outsourced software and design engineering, contract manufacturing, field service, and training. A global company headquartered in Japan, Meidensha Corporation provides products and services to a wide range of industries, including semiconductor equipment. Meiden is also a distributor of Cimetrix products in Japan. Headquartered in Japan with locations in the U.S. and Asia, Rorze is a manufacturer of transferring systems and robots for semiconductor wafers and flat panel glass substrates. In addition, Rorze provides engineering services to semiconductor equipment suppliers, and is a distributor of Cimetrix products in Japan. 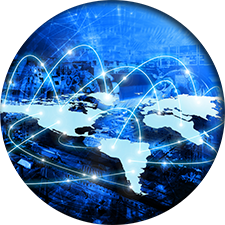 Headquartered in Germany with locations in the U.S. and Asia, SYSTEMA provides software solutions, processes, and services to the high-tech industry that are cost-effective, improve productivity, and meet regulatory compliance requirements. SYSTEMA provides comprehensive engineering and consulting services in end-to-end automation, manufacturing IT, and enterprise integration solutions. Headquartered in Seoul, Linkgenesis Corporation became the official Korean distributor of Cimetrix in November 2015. This partnership was a perfect fit as Linkgenesis has been providing software products and development services in manufacturing information automation systems and the software testing area since 2001. Founded in July 1996, EDOM Technology is a professional semiconductor agent and distributor based in Taiwan, with subsidiaries in China, Singapore, Thailand, Vietnam, India and Penang of Malaysia. EDOM is committed to providing the best-in-class service, state-of-the-art technology and creating great value to customers. Applications of distributed products include portable and wearable devices, wireline and wireless communications, Internet of Things (IoT), automotive products, industrial control, computer, opto-electronics and consumer electronics, involving digital, analog and mixed-signal fields. Electrotek was established in 2017 with headquarters in Singapore. Staffed by a team of dedicated industry professionals with established track records in the manufacturing sector, the company delivers intelligent software, automation and robotics solutions to customers seeking to empower their businesses with greater efficiency and reliability. FACET Technology Inc. is a professional service provider and solutions integrator in Factory Automation. They are a well-known factory automation service company with customers from Taiwan, mainland China and Japan. FACET's service profile covers semiconductor manufacturing and other manufacturing such as LCD, LED, semiconductor back-end, GaAs, wafer-level packaging, bumping etc. FACET is experienced in SECS/GEM interface integration service to the equipment maker.